The 1st Annual Beer Brauts & Eats event is scheduled for Saturday, October 22, 2016 from 5 to 9 PM. 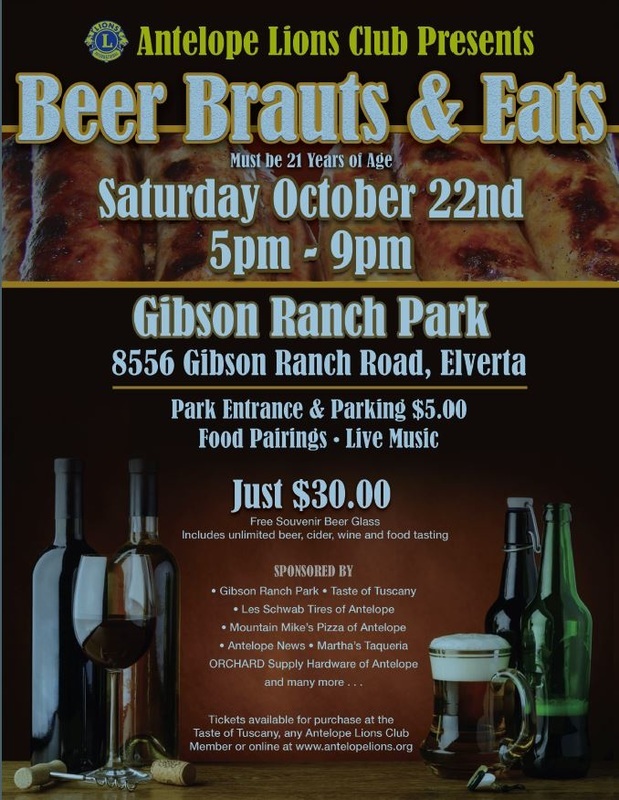 The event will be held at Gibson Ranch Park in Elverta. Admission includes unlimited beer, wine, cider, and food pairings. Each guest will also receive a free souvenir beer glass. ​Tickets are $30 per person. Tickets can be purchased online here or you can purchase them at Taste of Tuscany or from any member of the Antelope Lions Club.